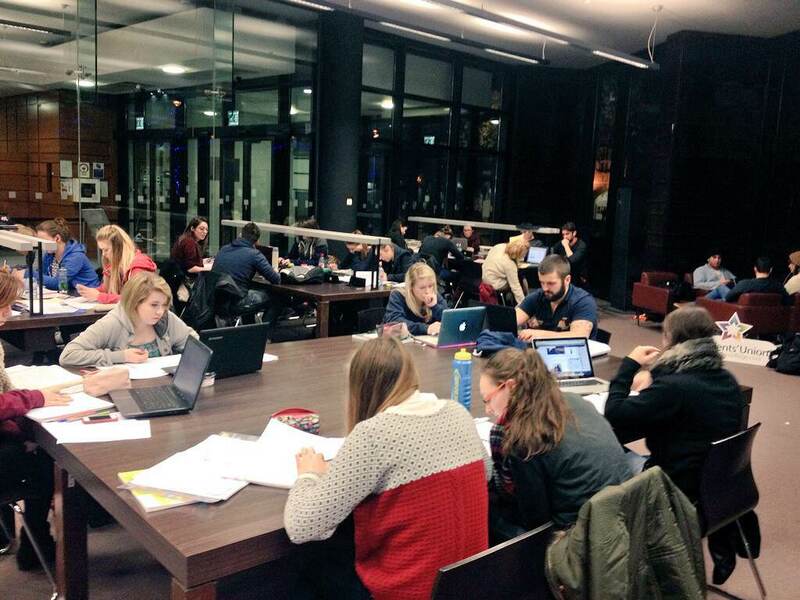 With official exam season now upon us, UCC students are fighting for extended opening hours in their library. The protests, led by UCC Students’ Union, have been prompted by the allegedly “inadequate” Boole Library opening hours. The current opening hours are being seen as even more inadequate in light of the newly semesterised exam system. Winter 2014 is the first time that UCC students have been required to sit exams before Christmas. The University has switched to a semester based system; one which splits exams into two periods in December and May. This is instead of holding all of the exams in May, as was traditionally the case before. However, UCC’s Boole Library has not adapted along with the rest of the college and still closed at 5:45pm the day before exams commenced. Students have staged sit-ins over the past two nights as a response. The protests have coincided with the 150th anniversary of George Boole’s death, who died on the 8th of December 1864. The anniversary has been promoted and celebrated at length by the University. Students study in protest during the Boole Library sit-in. On Sunday, December 7th, students staged a one hour sit in, protesting against the current unsatisfactory opening hours. After talks on Monday, the University refused to extend opening hours or give any guarantee of increased opening hours for next term, leading to a further two hour sit-in with over 150 students taking part last night, Monday December 8th. One of the few criticisms of the sit-in has been the effect on staff members of the library and their rights; though the actions have generally been appreciated among students. UCCSU are calling for the library opening hours to be extended until 12am on the weekdays and 10pm on the weekends during the exam period; with increased opening hours also sought during regular term time. It has yet to be seen if the protest will make a long-term impact, but study time is rapidly ticking away for students facing exams this week. It is unknown if the ideals sought are financially possible for the University.